Learn to easily calculate fan speed to get the CFM you want. How to change V-belts properly and safely. Fan problems and maintenance. 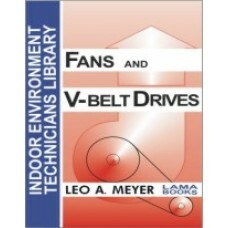 Practical knowledge for fans and V-belts. Here’s every practical thing you need to know about fans and V-belts. You will learn about all the fan types you work with. Learn to calculate fan speed to get the CFM you need. You will know how to change V-belts properly and safely—and to extend the life of the belt. You will learn about V-belt drives-pitch diameter, nominal length, pitch length, belt horsepower. The knowledge in this book gives you an edge over others in the industry. My job involves overseeing a number of buildings—both private residences and public buildings, and I must make sure that our thousands of visitors are comfortable in a variety of weather conditions. 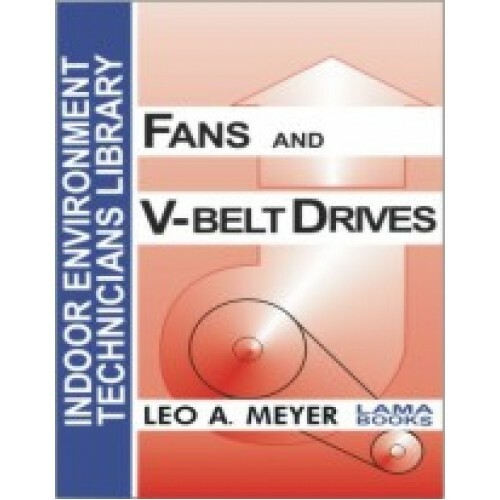 Leo’s book, Fans and V-Belt Drives is a great reference for all the information I need to make fan maintenance and trouble shooting as easy as possible.